Podcasts – we’ve all heard of them, many regularly listen to them. Me being one of those masses. There are so many podcasts, their topics, personalities, and knowledge seem limitless, but they are still growing as even more join their ranks. No, we are not starting our own podcast. Instead, as an avid listener, I decided to expand my listening-list. That’s why I’ve created this extensive list. I figured that there are other people like me, always looking for more channels and topics to learn about. Most are podcasts that I listen to or someone has suggested for me to listen to, with a few podcasts that I’ve found thrown in. But I will admit I’m only looking at business and work-related podcasts. Don’t worry; these 109 podcasts have been broken up into scanable sections so you can easily find where you’d like to grow and learn. I’m a marketer, so I have a long list here – from general marketing tips to more specific topics like SEO or social media. I’m sure there’s something for anyone looking for an interesting marketing podcast – enjoy. I should note that none of these lists are in order and that quite a few I don’t listen to but were recommended to me recently or throughout the years (I have an ongoing list of things I need to watch, read, and listen to). Everyone could use a bit of a leadership boost, right? As a marketer, I regularly listen to sales podcasts because I want to be able to come alongside my sales team and help, the only way I can do that is to understand more. Marketing is an extension of sales. On the other side of the coin, I think it’s just good to know and understand these tactics. Grow and develop as a professional; become well-rounded and knowledgeable. These are a bit more broad and general, they discuss anything business. Obviously, despite their lack of a specific focus, they have some valuable insights. This includes anything from professional development to business news, and everything else in-between. I’m not a business owner, but many of you are. I do sometimes listen to these but an old boss/business owner was the main person to recommend most of these to me. Each one is educational and inspiring – perfect for any business or industry. 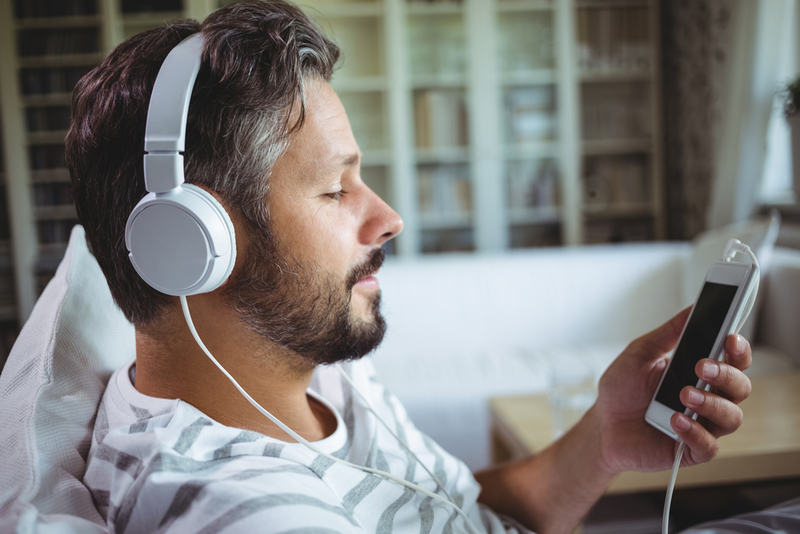 Since we also regularly work in the Promotional Products industry and with Promotional Products Distributors, as a bonus, here are a few of the Promo Industry’s top podcasts. There are plenty of podcasts to choose from, so take some time to learn and grow. Podcasts are great to listen to at work, in the car, or during your free time (like cleaning), with a variety of topics and personalities to inspire you. So, pick a few and listen, if you don’t like one, then move on. It’s about finding what best helps you and your goals. Happy listening! Don’t see your favorite podcast on this list? Tell us in the comments. Kristina Hublar is your friendly neighborhood Marketing Specialist at Bruce Fox, Inc., which means she is the person behind the keyboard for the social media, emails, the website, and other marketing efforts. In her spare time, you’ll find her bobbing along to music while crafting, spending time with loved ones, or with her nose in a book. Custom Awards & Branded Displayable Products Copyright © 2015 Bruce Fox. All Rights Reserved.